Join the ECML livestream on 12 December 09.00-10.30 to find out how you can get involved in the next ECML programme 2020-23, “Inspiring innovation in language education: changing contexts, evolving competences”. The direct link is: www.ecml.at/livestream. The livestream will feature members of the Professional Network Forum (a network of international associations/organisations focusing on language education and assessment), current and former project coordinators, ECML consultants and members of the ECML Governing Board representing national authorities, each offering their perspective on current challenges in language education and how the ECML can address these through its next programme. The event, which is in English and French, will also provide an introduction into the Call for projects and outline the different possibilities for participating. With around 1,300 EDL events registered in the online calendar this year, there was no shortage of creative ideas for celebrating the Day - with seminars on multilingualism, polyglot gatherings, language cafés, a European week of Languages, neighbouring languages festivals, a journey through languages and cultures and, of course, speak dating – to make some new friends! With 2018 marking the European Year of Cultural Heritage, there were close links between the two initiatives and many of the events organised for the Day focused both on raising awareness of the wide variety of languages in Europe and on promoting cultural heritage and linguistic diversity - thereby encouraging people of all ages to learn languages. This year’s EDL initiative ‘How multilingual is your classroom/organisation?’ to discover Europe’s most multilingual classrooms and workplaces encouraged schools, offices, associations and organisations to showcase their language skills. Many photos, song records, videos, posters, poems in different languages were all sent in as evidence of language rich classrooms. A selection of just some of the entries has been compiled in a short video highlighting multilingual Europe in practice. All entrants to the initiative will shortly receive a certificate of participation. The activity voted the most innovative EDL event this year was entitled “Doorway to the world”. The e-Twinning event coordinated by the Polish school “Szkoła Podstawowa nr 1 w Żarach” sought to bring schools together from all over Europe to celebrate the Day in an international way. The title proved very apt as the Day was celebrated in more countries than ever (51) all over the world, not only in Europe but also for the first time in countries such as India, Jordan, Uruguay and Cuba! A competition to design a t-shirt for the 2019 European Day of Languages is still underway and will close on 31 December 2018. In his statement on the occasion of the Day, the Secretary General of the Council of Europe, Thorbjørn Jagland, highlighted the importance of openness, “Understanding each other is the key to benefitting from Europe’s rich cultural diversity. Language education helps us to do this and to embrace other cultures and ways of life.” The Day received widespread press coverage in many countries, with articles about EDL featuring heavily in the media, such as El País, The Irish Times, ANSA.it, NTV and Euronews among many others. The events taking place in celebration of the 2018 Day were organised mainly by schools, universities, language and cultural institutes, associations and also by the European Commission’s translation field offices which co-organised around 70 activities. On a local level, the language festival in Graz coordinated by the Graz Language Network and taking place in the City museum, welcomed around 2,000 participants to a day of fun and, of course, educational activities, involving language challenges, singing, dancing, language taster courses, poetry slams and a wide variatey of games and competitions. We would like to thank everyone who organised and/or participated in activities related to this year’s European Day of Languages. We have already received lots of ideas and suggestions for 2019 and are already looking forward to it! 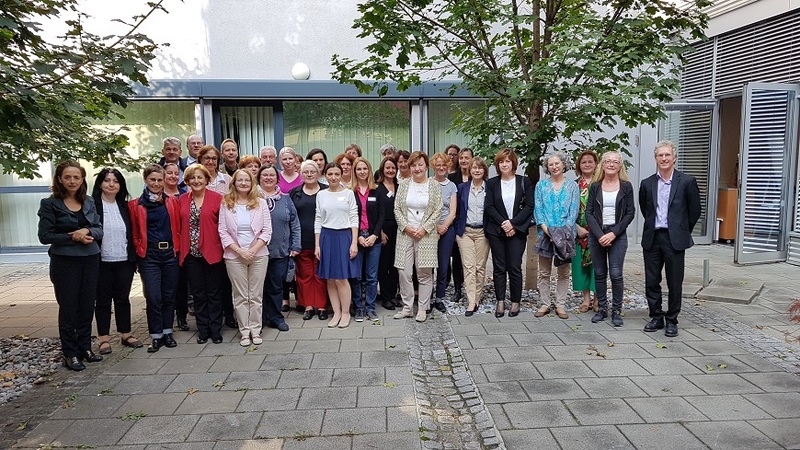 The Governing Board of the European Centre for Modern Languages met at ECML premises in Graz on 9-10 October. Turnout at the annual meeting was a record high with 40 participants representing 28 of the 33 States party to this Partial Agreement. In addition to reviewing the ongoing ECML programme, the Governing Board finalised the Call for projects for the upcoming 2020-2023 programme, considered the future orientation and organisation of language policy and practice in the Council of Europe Education programme, and took stock of the ECML cooperation programme with the European Commission. The Governing Board re-elected Ms Ursula Newby (Austria) as its Chair and partly renewed its Bureau. Try out the beta version of the Quality Assurance Matrix for CEFR Use (QualiMatrix), a tool designed for evaluating CEFR-related courses, programmes and teaching and assessment practices. The ECML project team would love to hear your feedback! 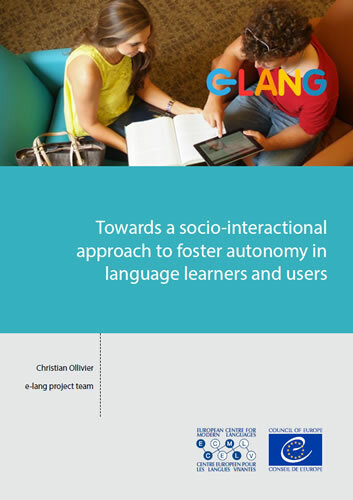 The e-lang webinar focuses on real-world tasks, digital resources and autonomy and enables language teachers, teacher trainers, and school inspectors for Modern Foreign Languages to get familiar with the ECML project. See also 'New ECML resources' below. 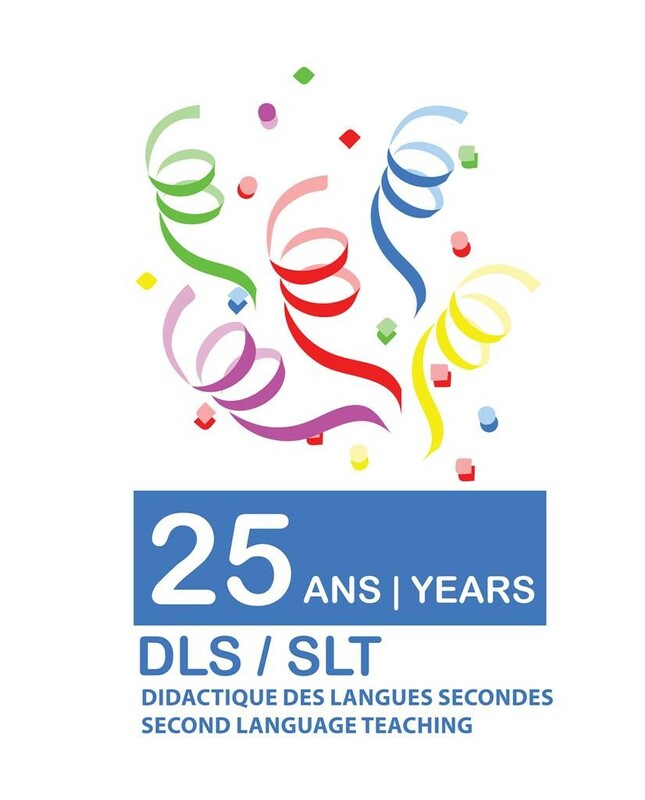 At the beginning of September, Christine Lechner and Marianne Jacquin had the opportunity to present the ARC project as the opening keynote at the first international Conference held by the Association en didactique des langues étrangères en Suisse (ADLES) in Lausanne, Switzerland. This was an opportunity to demonstrate to a large audience how action research can contribute to the enhancement of language teaching, to show how action research functions in practice both at university and school level, and to give insights into the work of the ARC project. 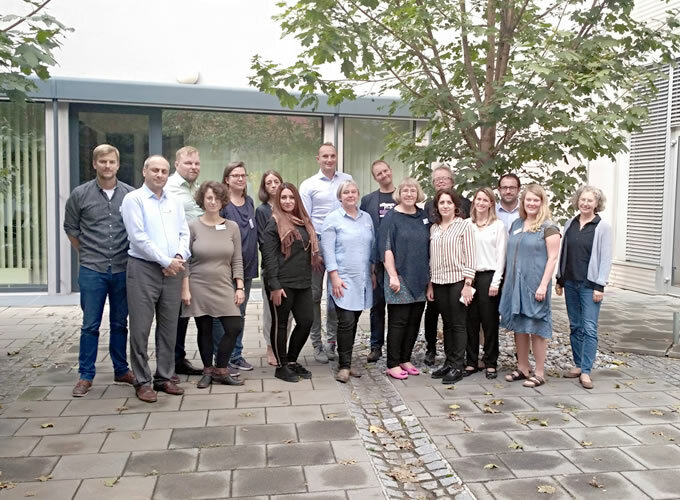 The project’s final workshop brought together 46 experts from 31 countries, all of whom work in the field of the linguistic integration of adult migrants and their work-related L2 development. The event enabled participants to review the products developed throughout the project, to discuss how to make them as useful as possible and how to organise the resource bank of tools for professional development, to exchange practical applications and strategies for managers and staff in job centres and public administration to improve communication with the public. The workshop gathered 28 experts coming from 31 countries who worked closely with the project team in order to finalise the project outputs. The project is developing a “roadmap” which is a digital tool that supports the schools in their reflection on the language(s) of schooling and in the implementation of a strategy they themselves have determined. To achieve this, a self-assessment tool will enable each stakeholder - head teacher, teachers, non-teaching staff, students and parents - to start reflecting upon the situation in their school, by assessing different thematic areas. 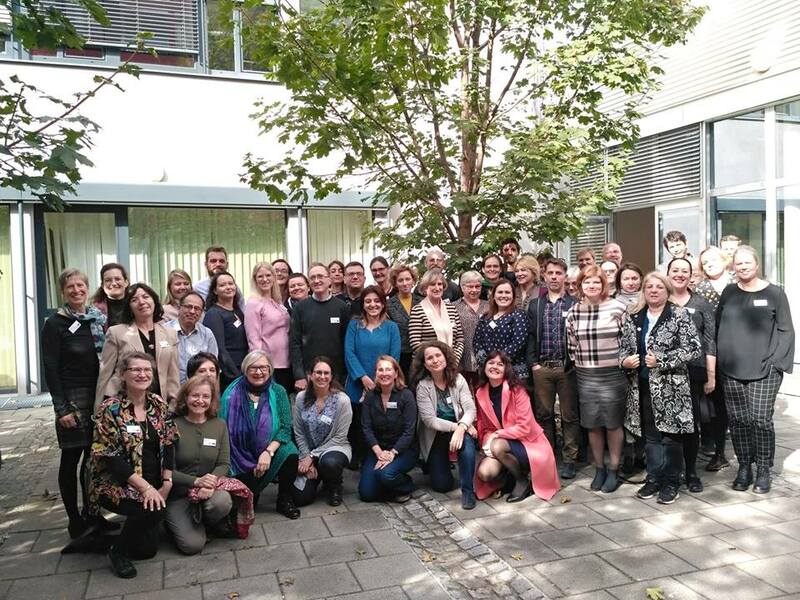 Thirty-nine participants from 33 European countries gave feedback on the draft online Guide to instruments and frameworks describing teacher competences for language education and on a draft Overview of the language-related competences of different kinds of teachers. The Overview contains competence descriptions in the areas of pedagogy, language competences, guiding principles of language education, but also for dimensions such as cooperation with other stakeholders, and teachers’ career-long learning. The participants’ active contributions will enable the project team to provide a qualified opinion on the need for a future framework before the end of the project in 2019. The 5 team members worked together with 11 non-linguistic subject teachers, coming from Armenia, Austria, Finland, France, Iceland, Netherlands, Norway, Sweden and Switzerland, who represented various school subjects, such as history, biology, geography, mathematics, chemistry, physical education, and social sciences. The participants gave feedback on the first versions of the tools that the team had developed for subject teachers. With the help of the tools, subject teachers should become more aware of the language component in their subject to be able to scaffold those students who struggle with the subject-specific language. 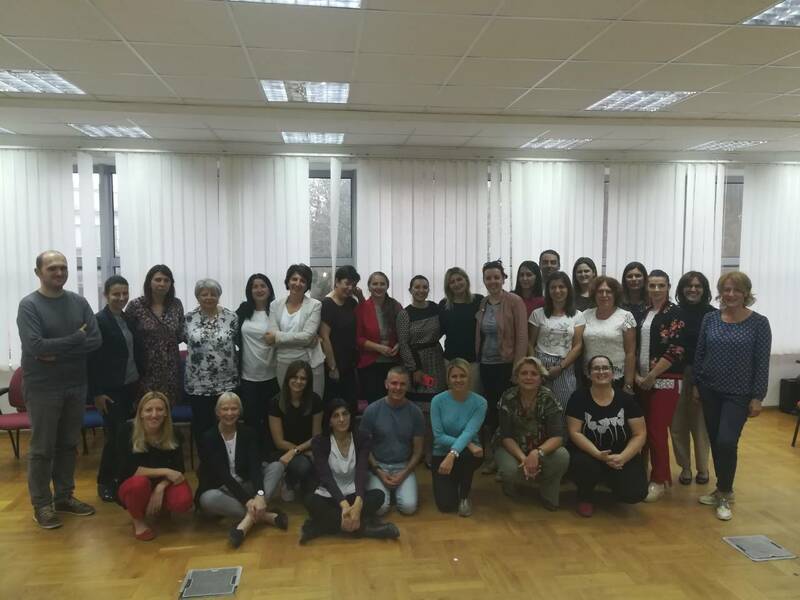 The Pro-Sign2/efsli Conference in Belgrade was a tremendous success with some 150 people from 39 countries who shared evidence-based practice around teaching, learning and assessing sign languages. Key themes were the European Language Portfolio, assessment, sign language pedagogy and technology, plans to develop a generic sign language teacher training curriculum, and sign language teacher competencies. The presentations proved innovative, inspiring and challenging, both for established programmes and experienced teachers as well as for new comers in the field. The University of Belgrade plans to include Serbian Sign Language in their programme. This is an important step with the goal to enhance awareness of Serbian SL and human rights of sign language users in the Balkan region. On 1st October 2018 Christian Rathmann, coordinator of the Pro-Sign2 project, also delivered a “workshop on the Common European Framework of Reference for Sign Language Teaching: Learning, Teaching and Assessment” as a part of the TILP conference in Florianopolis, Brazil. The RELANG and Supporting Multilingual Classrooms initiatives, providing training to Member States of the European Union and the European Centre for Modern Languages, are organised through a joint cooperation action with the European Commission - first launched in 2013 (www.ecml.at/ec-cooperation). The action which is based on two key language education concerns within the targeted states will offer training and consultancy over the next year to around 500 language professionals within national systems. NFLRC professional development series on Online Learning Pedagogy: “Materials development for online language courses”. This lesson on the use of technology for language teaching focuses on how to adapt available online language instructional materials when they are print-based and do not leverage technology in any way. Ursula Stickler also presents the ECML inventory of ICT tools and open educational resources. Members of the Forum: ACTFL, AILA, ALTE, CEL/ELC, CercleS, EALTA, EAQUALS, ECSPM, ECML/Council of Europe, EDiLiC, EFNIL, EPA, EUNIC, FIPLV, ICC, OLBI. On 1st November the Official Languages and Bilingualism Institute (OLBI/University of Ottawa) has celebrated its historic milestone with the university community. Happy Anniversary to the National Contact Point for the ECML in Canada! The current Finnish Government Programme entails 26 key projects, of which one is “New learning environments and digital materials to comprehensive schools”. The project’s objectives include, for example, modernising Finnish education in terms of pedagogy and the learning environment, improving learning results, and providing pupils with skills that respond to future needs. The project divides into three themes. One of these is the government key project for languages, which aims to increase and diversify language teaching by way of regional experiments. The three main points of focus here are: integrating early language learning into Finnish education with a much wider scope than before, providing pupils with a wider language repertoire, and creating a welcoming and encouraging attitude towards foreign language learning. In 2017 Finnish students in upper secondary education completed fewer mobility periods than the previous year. Target countries in both VET and general upper secondary education were mainly in Europe. The EU Erasmus+ Programme is becoming more and more important as a source of funding for student mobility. the national team piloting the EOL project “Learning environments where modern languages flourish” in France. In addition, Anu Halvari, Finnish National Agency for Education – the National Contact Point for the ECML in Finland – describes the situation of language teaching and the language provision in her country. Finally, a section is dedicated to a selection of recent educational resources. The Courriel européen des langues is edited in French by the International Centre for Pedagogical Studies (CIEP), the National Contact Point for the ECML in France. Sound atlas to (re)discover the regional languages of mainland France and the French overseas territories: a map published by the CNRS, France's national scientific research centre, lists a wide range of regional languages. A fable by the Greek writer Aesop was recorded and transcribed in 307 languages and dialects, highlighting the immense linguistic richness of the country. Revue internationale d’éducation de Sèvres n° 78 “Accueillir tous les enfants à l’école: la question de l’inclusion”: the international journal dedicated to the topic of 'Welcoming all children at school: The question of inclusion' reviews the evolution of educational concepts in nine countries. Access the issue (a number of chapters are available online). With nearly 2,000 terms and more than 500 definitions, the Francophone Business Vocabulary, co-published by DGLFLF and the Office québécois de la langue française, highlights new realities or well-established concepts in the fields of economics, management, trade and business. “Theme mother-tongue”: A multilingual website with resources in 36 languages. The freely available resources can be used both by the teachers (bilingual teachers and others), students, parents, employees in the kindergarten and more. Skolekassa is a multilingual website with online learning-resources in seven languages which correspond to the most common refugee languages in Norway. It is aimed for pupils from 1st-10th grade. The subjects covered are Norwegian, English, Mathematics, Science and Social Studies. Flexible learning: the project aims to provide bilingual education for students who do not have access to bilingual teachers. The website provides learning resources and a virtual classroom where the students can meet the bilingual teacher online. Flexible Education is open to participants from primary and lower secondary education for adults and combination classes. In 2018/2019 around 200 pupils participate in the programme and in 2019/2020, there will be around 300 pupils. Currently the pilot offers bilingual content instruction in the languages Arabic, Somali and Tigrinya in the subjects mathematics and natural science. Mr Nikolay Slavkov, Official Languages and Bilingualism Institute (OLBI), University of Ottawa, Canada. The ECML would like to express its deepest gratitude to Mr Tonu Tender (Estonia), Ms Emma Grainger (Ireland) and Ms Marie-Josée Hamel for their support and involvement during the last years. 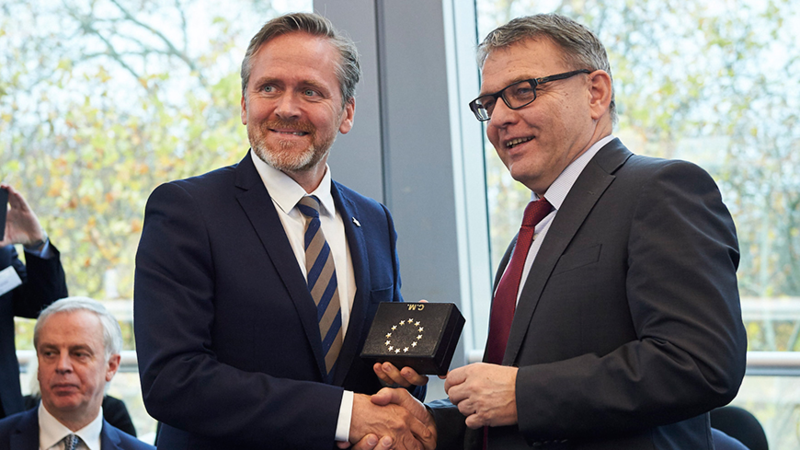 On 15 November the Chairmanship of the Committee of Ministers of the Council of Europe passed from the Czech Republic to Denmark. The outgoing Chair, Lubomír Zaorálek, Minister of Foreign Affairs of the Czech Republic, summarised his country’s achievements during its chairmanship of the Committee of Ministers. The priorities focused on protecting the human rights of persons belonging to vulnerable or disadvantaged groups and promoting gender equality, strengthening the rule of law, supporting local and regional democracy and public administration reforms, promoting human rights education and linguistic skills and co-operation and co-ordination with other international organisations. With special regard to the European Centre for Modern Languages of the Council of Europe (ECML) the Czech Chairmanship continued to actively support the cooperation carried out in the framework of the ECML’s four-year programme 2016-2019 throughout its 6-month term. A working seminar involving foreign experts was organised in Prague in October for the Czech language test-makers who examine the language proficiency of foreigners applying for a permanent residence permit or citizenship. The new Chair of the Committee of Ministers, Anders Samuelsen, Minister of Foreign affairs of Denmark, presented the priorities of the Danish Chairmanship which will run for six months as of 15 November 2018. The priorities are the preservation of the European human rights system in a future Europe, gender equality, involvement of children and young people in democracy, the fight against discrimination of persons with disabilities and combating torture. The Council of Europe launched its new campaign “FREE TO SPEAK-SAFE TO LEARN - Democratic schools for All” from 14-16 November 2018 in Oslo. The conference was a joint event with the European Wergeland Centre (EWC), the main partner in the campaign. EWC celebrated its 10th Anniversary. The event was opened by Erna Solberg, Prime Minister of Norway, and Thorbjørn Jagland, Secretary General of the Council of Europe. Participants included students, educators, representatives of public authorities and experts from all over Europe. The campaign addresses the following themes: making children's and students’ voices heard; addressing controversial issues; preventing violence and bullying; dealing with propaganda, misinformation and fake news; tackling discrimination; improving well-being at school. The campaign will be run until 2022, at national, regional and European level. It involves 50 states across Europe, the Council of Europe’s 47 member states as well as Belarus, the Holy See and Kazakhstan, as additional parties to the Organisation’s European Cultural Convention. PACE has called for the official recognition of sign languages so that deaf persons can “exercise their fundamental rights”. Adopting a resolution based on a report by Miren Edurne Gorrotxategui (Spain, UEL), the Assembly’s Standing Committee said such recognition would also “contribute to further promoting the richness of deaf culture and send a powerful message of inclusion to the deaf community”. The Council of Europe Secretary General made a statement for this occasion, calling on member states to step up efforts to recognise, protect, promote, and develop the Romani language in Europe. The World day of Romani language promotes education, language and culture of Roma people and supports multicultural values. It was first initiated by the Croatian Parliament in 2012 and proclaimed World Day of Romani language by UNESCO during its 38th session of the General Conference of UNESCO in 2015. According to a recent report by the Office of the UN High Commissioner for Refugees, migration remains a critical issue for all levels of governance in Council of Europe member states. It was against this background that the Congress of Local and Regional Authorities held a debate on “Border regions facing the migration phenomenon” on 6 November 2018. The report adopted by the Congress of Local and Regional Authorities builds on previous Congress texts concerning the reception of refugees and integration of migrants to examine the potential benefits of cross-border co-operation among regions situated on the periphery of Europe or at the borders of countries within Europe. It argues for an “integrated approach”, adequately involving different levels of government, NGOs and partners in countries of origin and transit and underlines that all these stakeholders’ involvement and interconnectedness is crucial for developing effective integration policies. The annual report of the Secretary General of the Council of Europe looks at the key building blocks of democratic security: efficient, impartial and independent judiciaries; freedom of expression; freedom of assembly and freedom of association; democratic institutions; and inclusive societies. Free copies of the report, available in English and French, can be requested via docrequest@coe.int. The Fourth Committee of the United Nations General Assembly held its general debate on information issues on 18, 19 and 22 October 2018. Multilingualism was at the heart of the exchanges and declarations of States, which unanimously stressed the importance of promoting and integrating multilingualism into the daily work of the United Nations Department of Public Information. 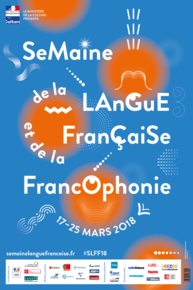 From 17 to 25 March 2018, more than a thousand events took place in France and abroad. Flashback on this 23rd edition, which invited everyone to reflect on the various language usages.